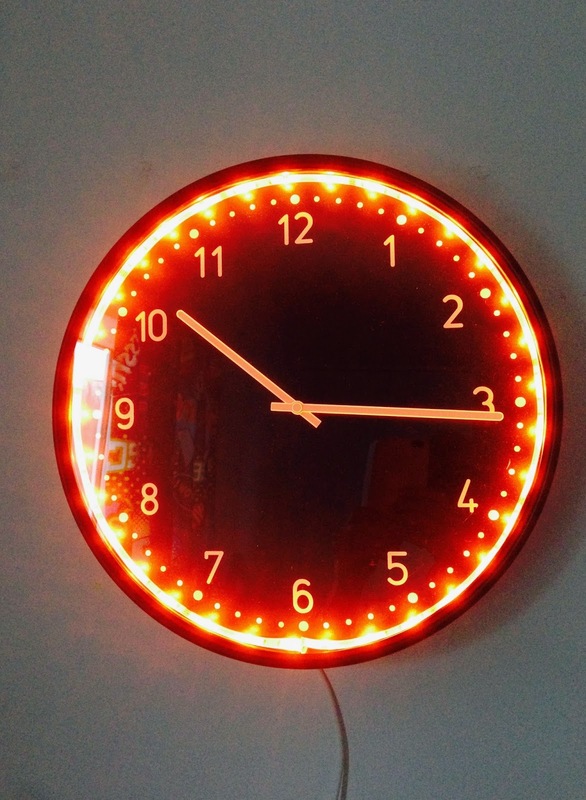 maybe it was time to sort out some sort of nightlight that could also tell the time. 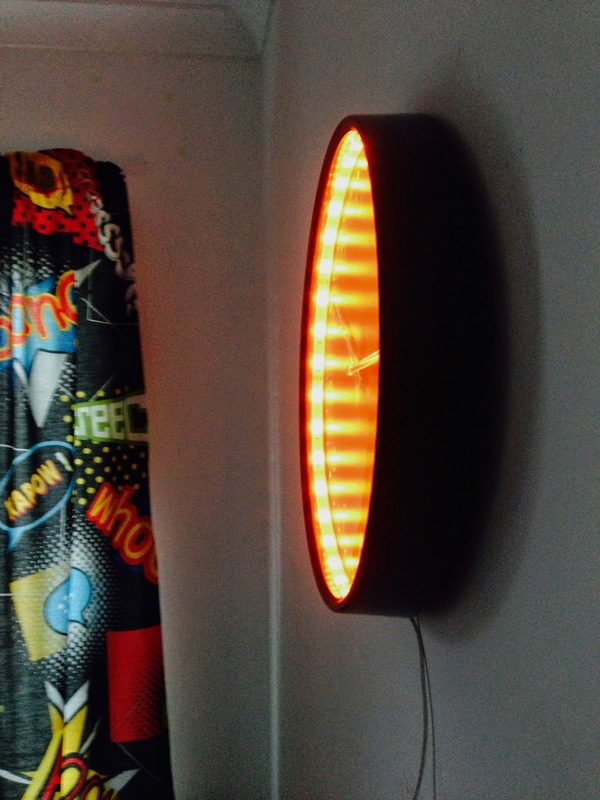 As the twins are now ten (and way too cool for school) the usual toddler nightlights just wouldn’t cut it. 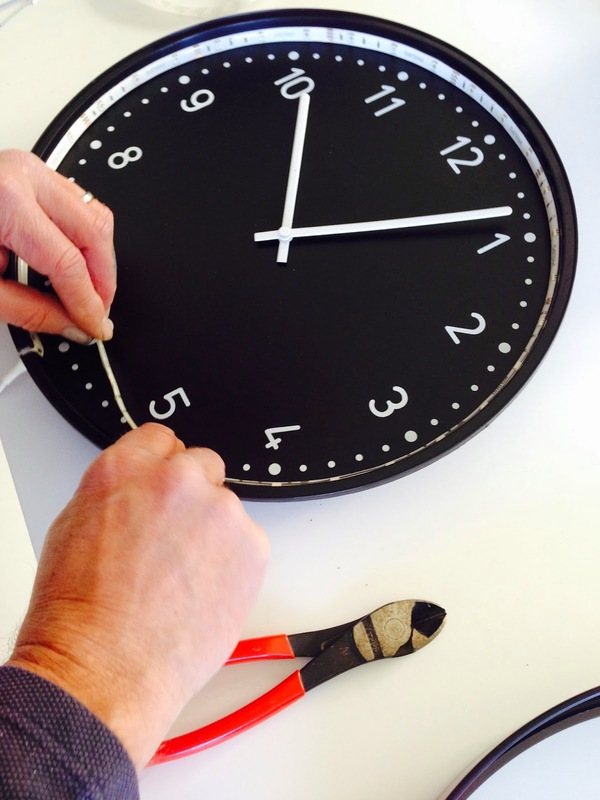 On a recent trip to IKEA I found the Bondis clock, large, modern, black and affordable ! I wanted to make something with a similar effect as one of those large metal wall L.E.D arrows. We already had an L.E.D strip light sent to us previously by Phillips so with an idea formed I set hubby to task on the job. 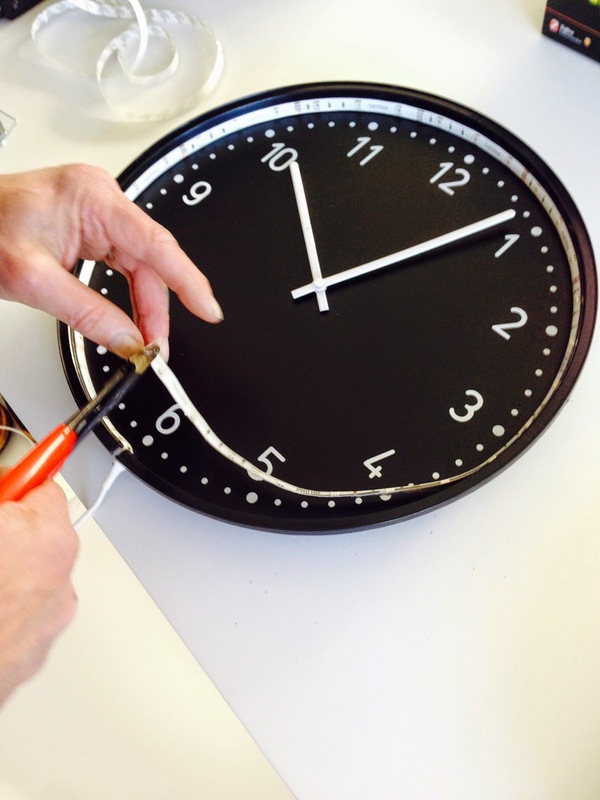 He removed the casing from the clock, placed the L.E.D Strip around the inside of the clock and then cut it to size. 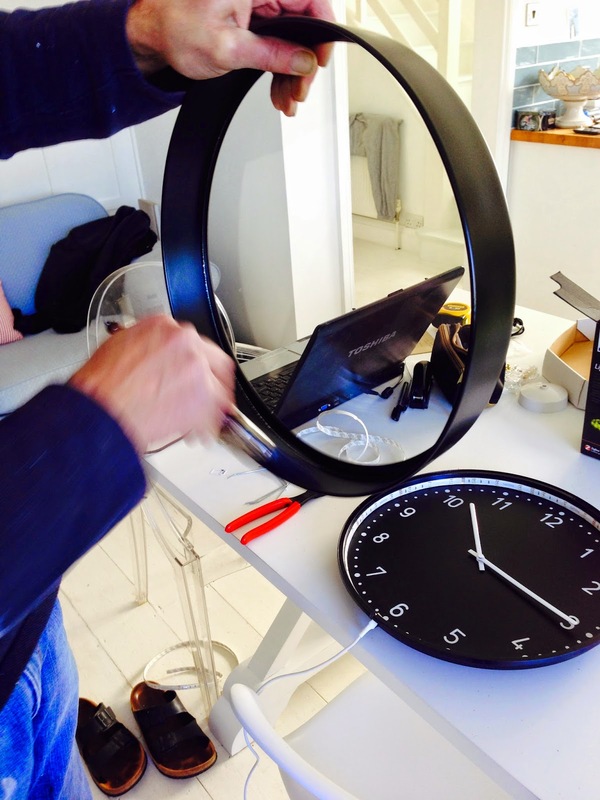 He then cut a hole in the rim of the clock to feed the wiring through. 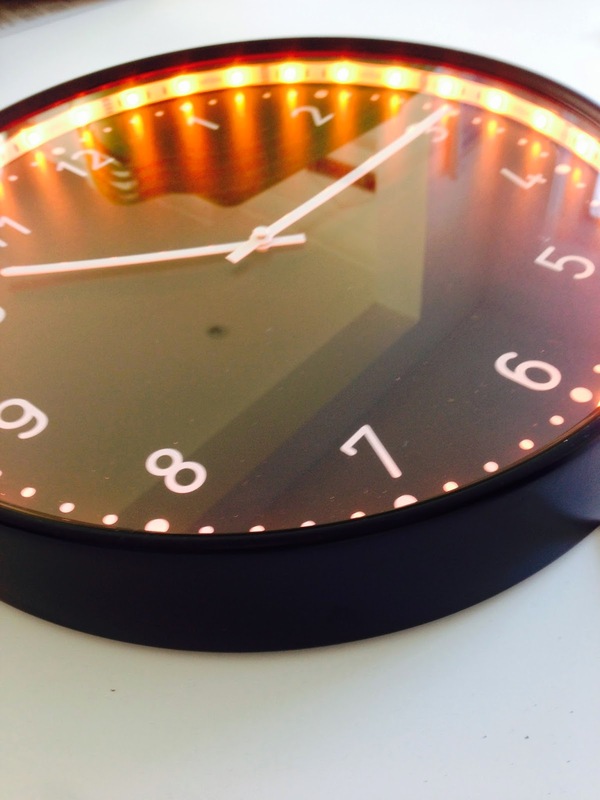 The LED Strip is self adhesive, sticking really well to the inside edge of the clock. 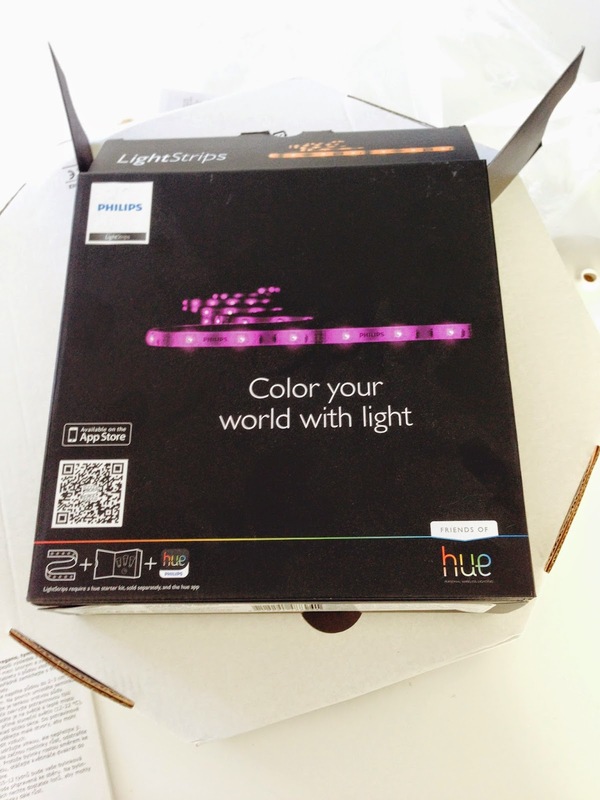 We used these HUE Light strips kindly sent to us by Philips. Next pop the casing back onto the clock (apologies for the man shoes in the pic ! I am FOREVER tidying up shoes the many men in my home leave lying around ) . Securing the back of the clock. 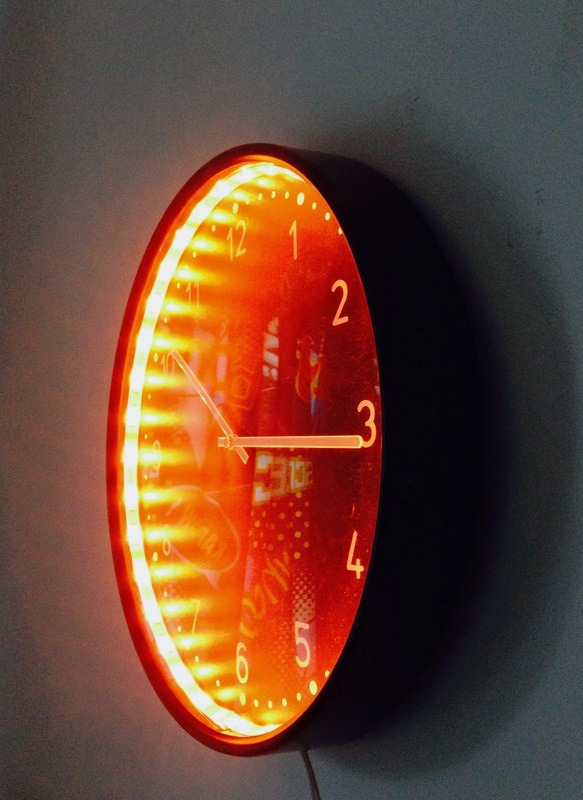 I love the look of this, but real clocks tick and they drive me insane. 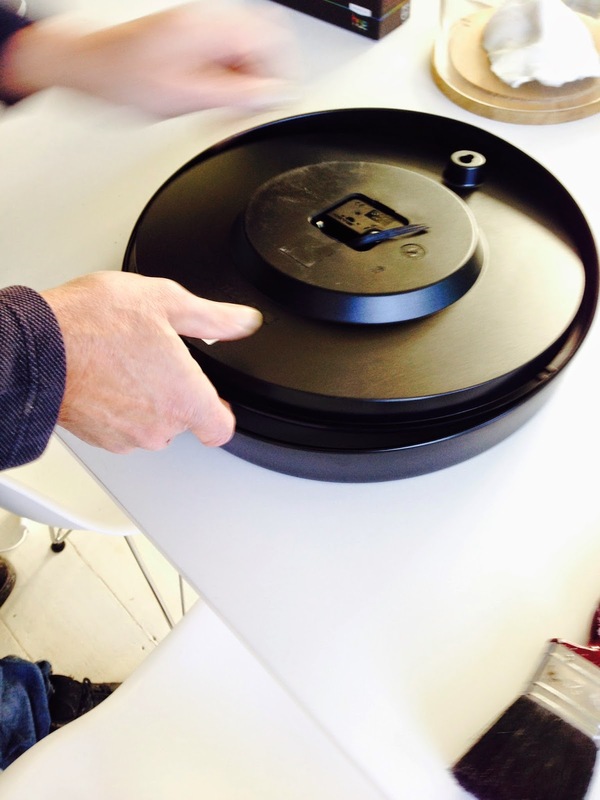 I once went round a cottage we were staying in removing every clock battery as I couldn't sleep. I can even here the ones in the next room! ha! I so know what you mean Jen, although as this is in the boys room they have assured me they find the sound very soothing . brilliant idea Karen! love it! Looks amazing. You guys are so clever.